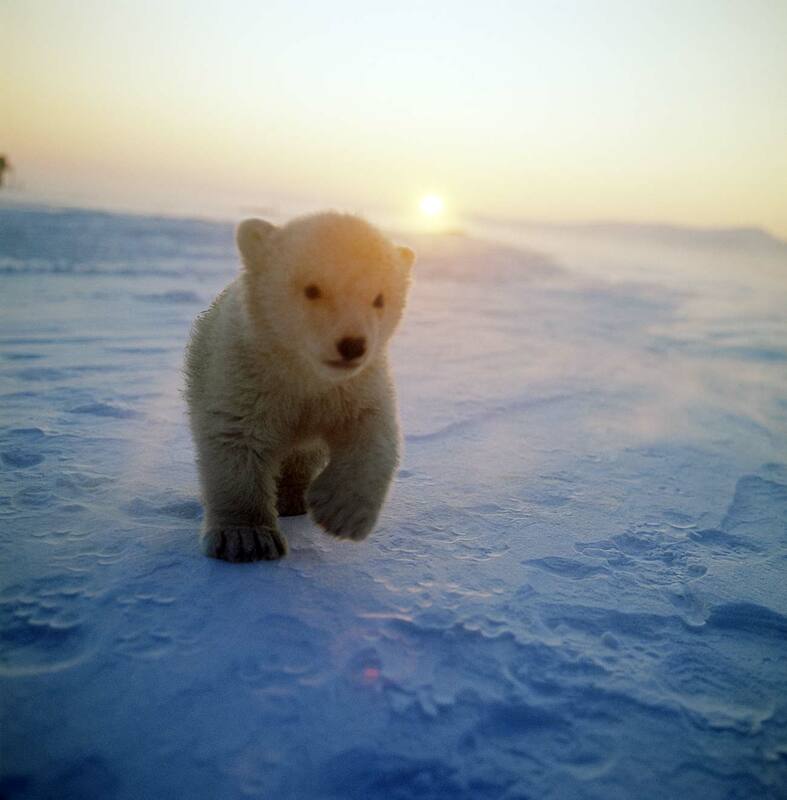 Bear cub on Wrangel Island in the Arctic Ocean. In late 2016, Russia and the U.S. jointly studied 180 polar bears living along the border of Alaska and Chukotka. Their findings will help develop a three-year plan to save the species. The Wrangel Island Reserve in the Chukchi Sea has one of the greatest levels of biodiversity in the Arctic and is home to the world’s largest population of polar bears. The reserve, which covers about 22,000 square miles consisting of both dry land and its aquatic buffer zone, had a population of nearly 6,000 polar bears in 2013, but their natural habitat is shrinking due to climate change. “Polar bears mainly live on ice, and if several years ago in the summer we could see the edge of the ice several kilometers from shore, now the ice is melting and is tens of kilometers away far over the horizon,” said Alexander Gruzdev, head of the Wrangel Island Reserve. This will certainly have an impact on the polar bears' future, he added. The Chukotka-Alaska population of polar bears, one of the world’s 19 remaining populations of this species, is shared by Russia and the U.S.
“In the U.S. polar bears are active mainly in the spring and summer when ice usually remains, and they come to Russia in autumn when they can still hunt because there is no ice yet, and they remain here until early spring,” Gruzdev said. The agreement between the Russian and American governments on preserving and managing the Chukotka-Alaska population of polar bears came into effect in 2007. Both countries now share responsibility for protecting the species. According to the agreement, scientific data and traditional knowledge acquired from the indigenous peoples is exchanged. In late 2016, Russia and the U.S. jointly studied the polar bears living along the border of Alaska and Chukotka. Their findings will help develop a three-year plan to save the species. The joint methodology, he continues, now includes parameters such as genetic analysis, gender studies of the population, cubs’ survival rate and their body fat. Danger to polar bears comes not only from residents of the Far North, who often kill approaching predators out of self-defense. Polar bears also fall victim to poachers and, worse still, to the sadistic shenanigans of sailors from different countries who fish in coastal waters. The eighth session of the Russian-U.S. Polar Bear Commission ended with the signing of an agreement on a sustainable polar bear hunting number. In 2017, local residents are allowed to hunt no more than 58 polar bears, of which not more than one-third can be females.